Pro DBX’s Roofing Software takes the headache out of going through expenses, dealing with vendors, and everything else that goes into running your business. Our All-In-One Roofing Software saves you time and money, allowing you to focus on what you do best. Take a look at our downloadable media kit to see how our Roof Contractor Software can help you! Automated from start to finish. Pro DBX allows you to create custom sets you can build. 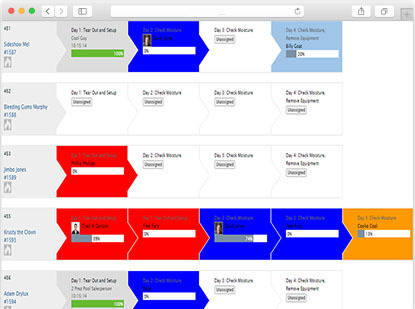 These allow your sales reps to select from your full-range of options. When a set is added to an order or a job, Pro DBX will automatically use all of your pre-designed settings to create a visually appealing price quoting engine for your sales reps. 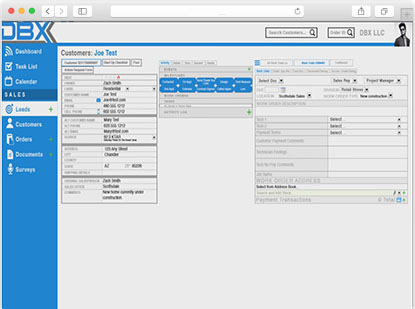 Using Pro DBX complex sets, your sales reps can build estimates in the field in a matter of seconds. Each pre-designed complex set is converted into a visual step-by-step menu, with all price and cost calculations made according to overall quantity. 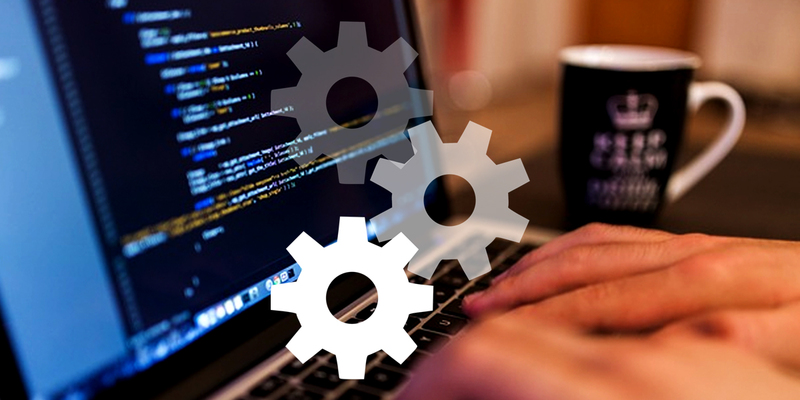 Each work order can then be assigned individually, or by setting up default automatic assignments. 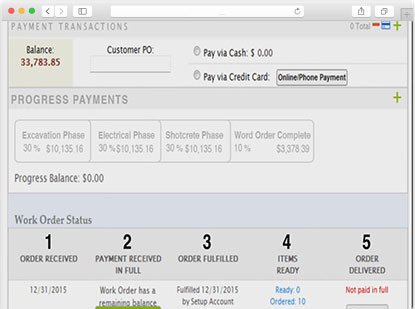 Commissions, quantities, and expected due dates for each work order can also be updated easily at any time. New work orders, such as a trip charge, can be added to any existing work order without the hassle of preparing separate addendums. Progress payments, either based off a percentage of roof completion or a set dollar amount, can be setup to trigger at completion of specific phases or work orders. Once a work order is assigned, foreman and even entire crews are notified immediately via text or email. 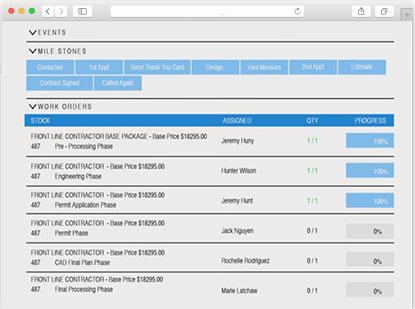 By using Pro DBX, your crews can easily update their progress, create work order specific tasks and notes for other users, view their commission and pay, and take job-site photos using their phones or tablets which are automatically stored with that job’s documents. Using the Pro DBX Project Management Dashboard, easily view, track, and update all of your open roofing jobs at a glance. View each phase’s progress individually, reassign, and update work orders and due dates in one place. 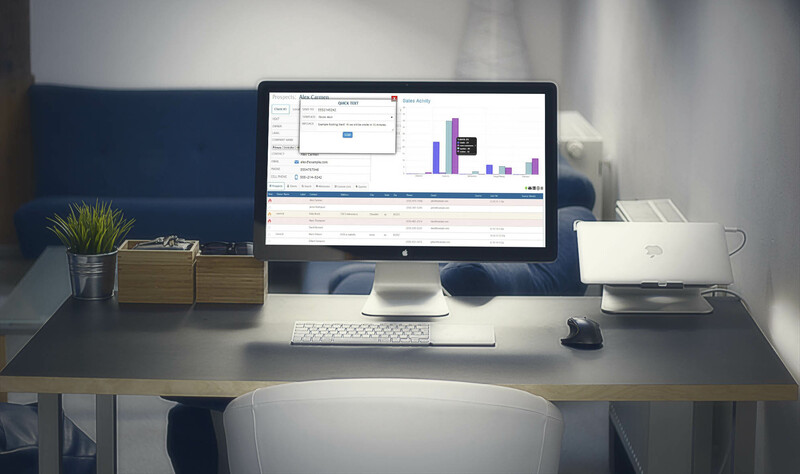 Dashboards are also customized to fit your company’s needs, including color coding phases and work orders, or adding custom fields and other helpful information. 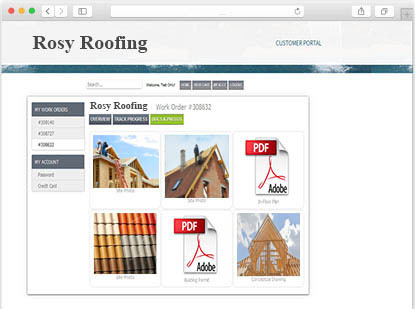 With the Pro DBX Customer Portal, customers can easily log in and follow along as their roof progresses. All you need to do is specify what you would like your customers to view – including specific photos, drawings, invoices, progress payments, and due dates for different phases. All items, including your before and after photos attached to your invoice, can also be sent directly to the customer or insurance company upon completion of a job. 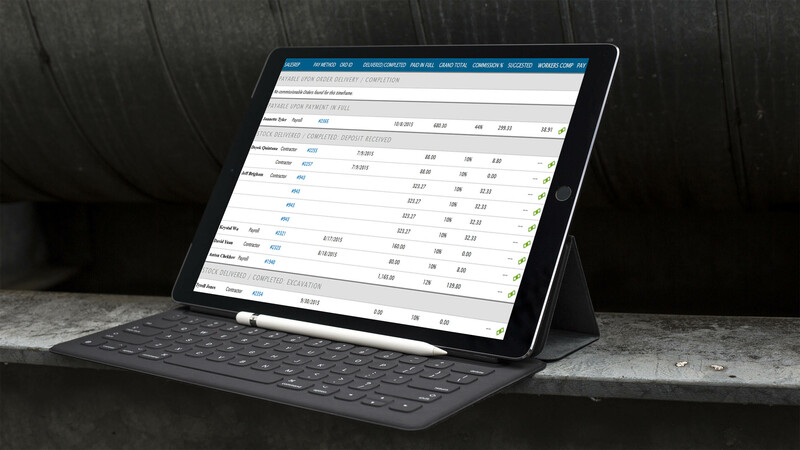 As work orders are completed, all commissions flow directly into the Pro DBX Payroll App. Simply select the users and jobs to pay on, adjust any amounts if necessary, and submit. Piece rates can also be split between members of a crew, using set dollar amounts or percentages. Sales commissions, set up by user, can be triggered by completion of job, when a job is paid in full or upon the completion of a specific chosen phase. Pro DBX will even auto-calculate workers compensation where necessary, and send employee wages to your payroll company. All commissions, payroll, and payroll overhead are recorded in Pro DBX – providing you with true a true job cost of every roofing project, down to the penny. Part of the all in one solution to growing your business. Check out our Apps page or get a hold of us by clicking the button below! Our Roofing Software Packages come with select and specified apps that are geared towards the Roofing industry. But we also understand that your business is unique. To offer a competitive advantage in your field, these apps can be customized to your complete liking and satisfy any unique tastes you may have. At DBX, we don’t believe in working with apps from multiple companies that make matters more complicated. We believe in an all-in-one solution. Create Estimates faster and easier. 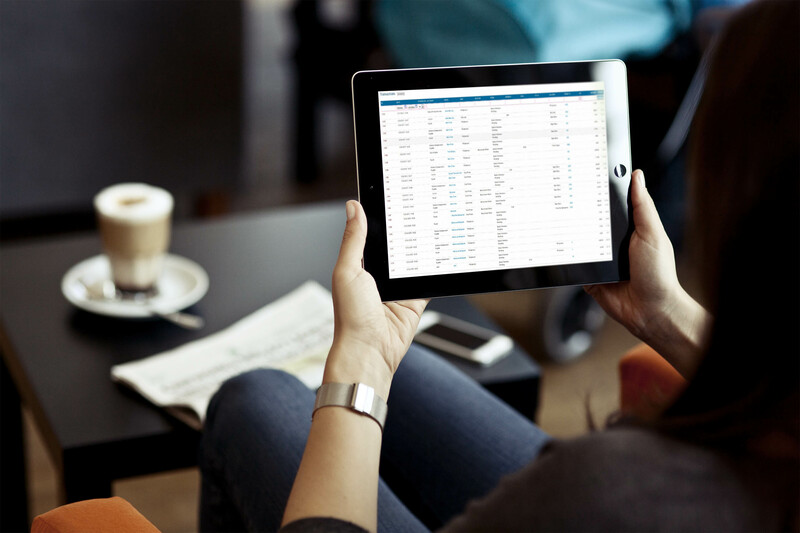 Instantly create custom estimates from the office or the customers house. Automatically calculate material and labor pricing. Easily customize with various labor and attributes of material. 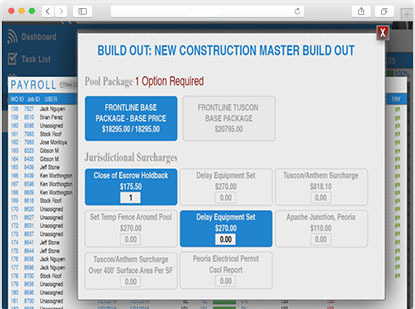 Automatically assign work orders to contractors and employees with this Pool Contractor Software app. Users will receive notifications and update progress online. Fulfill materials and create purchase orders from multiple vendors for true cost containment. 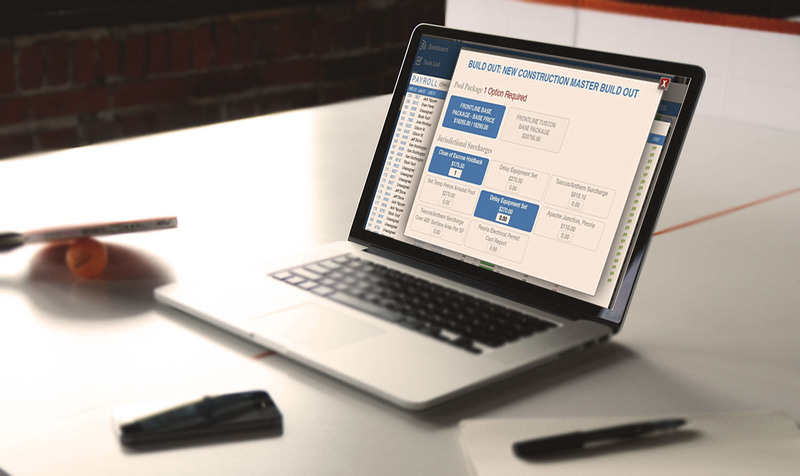 Easily manage your entire lead and client database in one simple integrated application, built for roofing contractors, and customized specifically for your business. 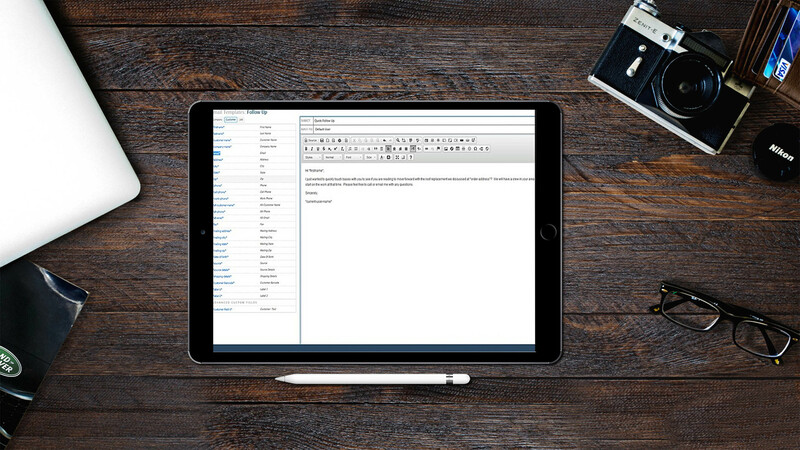 Automated and easy communication with customers via text, email, etc. 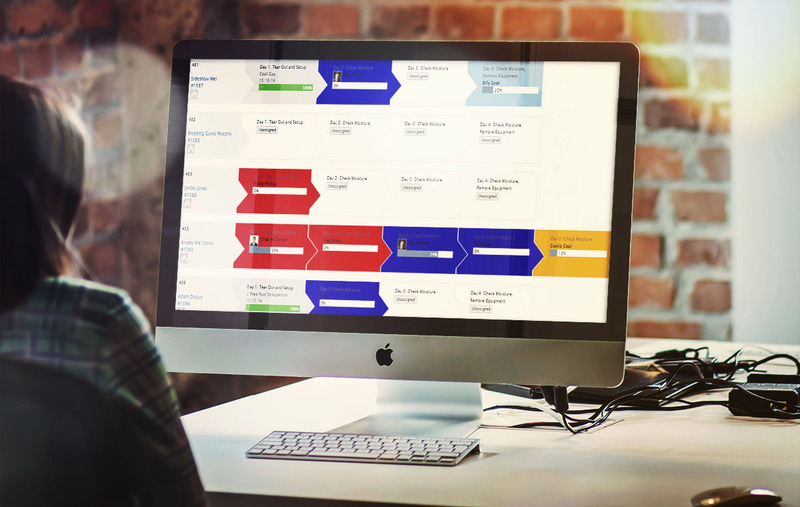 Track hourly employees with digital timecards. Pay piece-rate employees and contractors as work orders are completed. Schedule commission payments for sales reps based off phase or project completion. Download bank and credit transactions, input reoccurring events, and automate bank reconciliations. Full set of customizable accounting reports for true job costing. Reporting by division, location, timeframe, etc. Receive true customer feedback based off unlimited customizable surveys. Filter feedback through our client reputation filter, and build reviews on Google, Yelp, Angie’s List, etc. Receive instant notifications of any feedback. 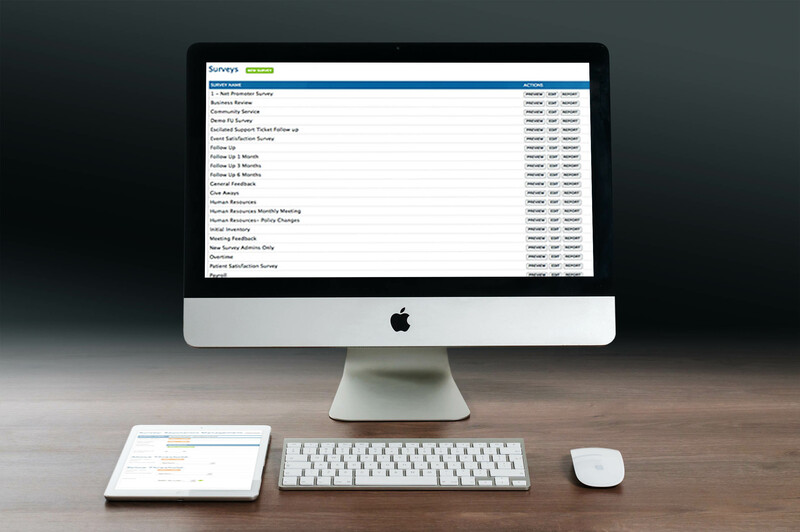 Quickly add and manage your clients in one simple location through our advanced CRM. 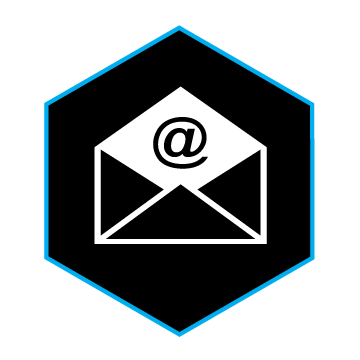 Email Marketing has never been more simple and effective. Track, schedule, and route better. Advanced routing using Google Maps for efficient use of time and resources. 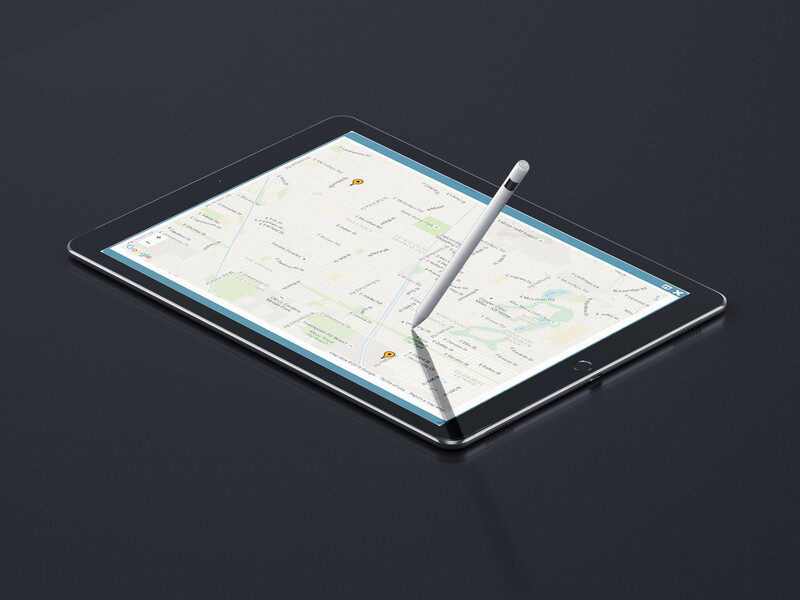 Easily keep track of multiple crews and contractors using their GPS location. Manage simultaneous user, crew, and group calendars. Pro DBX has completely changed the way I do business. I never imagined being able to grow this fast!